For your car's A/C to allow the free flow of the coolant, its hoses should be in perfect condition. An A/C hose in perfect condition should be flexible and should have metal clippings to prevent leakages. Driving a vehicle with an air conditioning system that is not functioning properly is an unpleasant experience. Whether your A/C hoses have cracked, have leaking joints or are completely worn out consider having them replaced. For all your A/C hose replacement needs, count on Trim's Automotive in Lebanon, PA 17046. Call us or visit us today. At Trim's Automotive, we offer the best auto advice to help you prolong the life of your vehicle. We will give you full explanations of what is really involved in making the proper repairs necessary for your vehicle. We will also provide information on auto safety issues and different auto parts. Are you aware that an automotive battery needs to be replaced every few years? This is true no matter how often you take your car for maintenance. When the time for battery replacement comes around, most car owners don't have the time and necessary experience to install a new battery. At Trim's Automotive, we will help you determine whether your car needs a new battery or not. If the battery is dead and can't be recharged, we will help you with new battery installation. Call 717-273-4348 or visit us today. Since automotive batteries contain a number of toxic chemicals and heavy metals, dead batteries should be recycled to save the environment from pollution. Battery recycling is the process aimed at reducing the number of batteries being disposed of as solid waste. The process reduces the risks of soil contamination and water pollution. Trim's Automotive provides a battery recycling service. 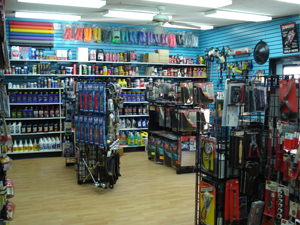 Visit our auto parts store in Lebanon, PA 17046 or call us today. Battery testing is the process of examining an automotive battery to gather useful information about individual cells and the battery. Although battery testing is fairly simple and straightforward (and only requires a few basic tools), the test results are not straightforward. For this reason, you should let an experienced auto parts professional handle your battery testing. For all your battery testing needs, call 717-273-4348 or visit Trim's Automotive today. At Trim's Automotive we carry a wide selection of hoses and can order anything we don't have in stock. Finding the right part for your vehicle is no easy task, but at Trim's Automotive we have parts specialists who will assist you in finding the appropriate part for your vehicle. Call or visit our shop in Lebanon, PA 17046 today. When choosing hydraulic hoses, remember the correct length, size and vacuum ratings are critical. Hydraulic hoses of the wrong size will lead to insufficient pressure and thus poor performance. For all your hydraulic hose needs, call or visit Trim's Automotive today. We offer a wide range of hydraulic fittings, adapters, and couplers for your vehicle. Are you frustrated searching for a hard-to-find part?Unfortunately, some auto parts are still hard to find. If you are unable to find the parts you're looking for, call 717-273-4348 or visit Trim's Automotive today and our parts experts will be more than happy to assist you. In addition to manufacturer information and specialty tools, we also offer parts identification and cross references. 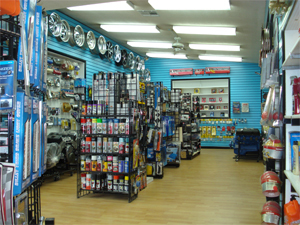 Visit or call Trim's Automotive today for all your auto parts needs. In the event we don't have it in stock we will get it for you overnight! At Trim's Automotive, we have overnight shipping service to ensure that you have an auto part within the shortest time possible. Call or visit our auto parts store in Lebanon, PA 17046 today. Transmission hoses are built to withstand high pressure and harsh chemicals that other hoses cannot handle. At Trim's Automotive we carry a wide selection of hoses, hydraulic, flexible, & steel lines.We can order anything we don't have in stock. To check if we have a part in-stock, please call 717-273-4348.